6 AM, 12 PM, 6 PM, and 12 AM, US Central Time. 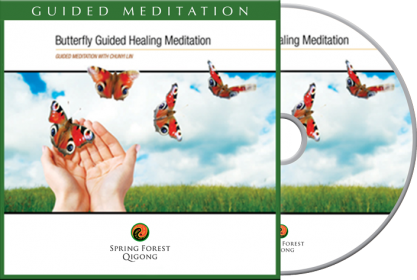 These are powerful ancient Qigong Meditations re-invented for modern people like you. There has never been a better time to lift your energy and experience transformation from the inside out. Experience our most powerful, popular Qigong meditation each day. We will be broadcasting different guided meditation each day for 7 days. Experience the full version of each of the meditation. Receive one email a day during these 7 days of Worldwide Meditation-Fest. Simply click on the link to the meditation broadcast and start to meditate. Designed to fit in your busy lifestyle. Live broadcast is every 6 hours at 6 am, 12 pm, 6 pm, and 12 am, US Central Time. Listen to one or catch all 4 times a day! You know how meditation can help you feel better in so many dimensions of our whole wellbeing. Perhaps you have experienced some types of meditation before, but have you tried Qigong meditation? What is special about Qigong meditation? Qigong meditation is not only the "feel relaxed" meditation, "relaxation" is one of the elements you will experience when you follow the guidance to meditate, there are so many more benefits in practicing Qigong Meditation. It is is different from regular therapeutic meditation or mindfulness meditation; with Qigong meditation, you will not only experience the calmness of the emotions, the connectivity of the body and mind, and the clarity and the focus of the mind. In addition to all the benefits mentioned, Qigong meditation also help clear your body's energetic blockages. And... deep practice of Qigong meditation is an ancient secret used to quickly open third eye, to develop our intuitions and internal energy. What is special about Qigong meditation? Qigong meditation works with our body's energetic meridians. Spring Forest Qigong follows the tradition of Qigong practice and created guided meditations that combine breathing, sound, mental focus, and visualizations all at the same time. Qigong meditation works multi-dimensions in our body, mind, emotions, and spiritual all together. Qigong meditation is work; practitioners diligently follow instructions passed down from generations of teachers. It has been practiced by ancient teachers and masters for healing, increasing energy vibration, and cultivating spiritual power. A 30 minutes Qigong meditation guided by Master Chunyi Lin, the founder of Spring Forest Qigong. The Self-Concentration Meditation helps you to develop stronger focus, self-awareness, and heal the body through mental activities. 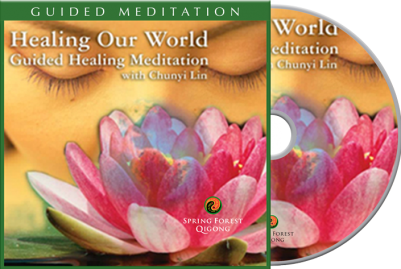 You can feel his healing energy as Master Chunyi Lin guides you through the meditation. You will discover the inner beauty of your body, increase your energy and strengthen your ability to help heal yourself and others. By using mental concentration and controlled breathing, you move to a deeper level of meditation. 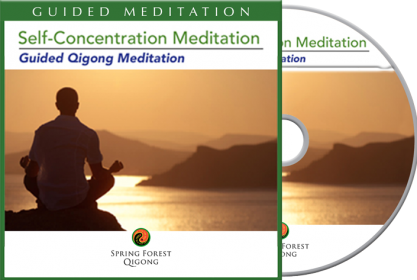 Many of our new and advanced Spring Forest Qigong practitioners found this guided meditation easy to follow and very effective for training calmer mind. Led by Master Chunyi Lin, and designed for your personal healing and optimal wellness. "Think of the life cycle of a butterfly. From a caterpillar into a chrysalis and from that hard, leather-like pouch it transforms into such a beautiful and gentle creature it brings joy and happiness wherever it flies. Everything in the universe is a form of energy. Every cell in your body is a form of energy. Energy cannot be created or destroyed, but energy can be transformed. The butterfly is such a perfect and beautiful example of energy transformation. So it can be with the energy blockages in your body - any pain or sickness, injury or illness, any worries or fears. I will guide you in transforming them into something beautiful in this meditation to help you experience your optimal health and wellness." The research on effective breathing is indisputable. Studies have clearly shown that slowing your breathing to 10 breaths or fewer per minute for just 15 minutes a day can greatly improve your health. Lowering of high blood pressure — often dramatically. The Energy Breathing Meditation is included in the Spring Forest Qigong for Healing Course. This is a great opportunity to experience the powerful Qi-breathing meditation without getting the entire course. The Small Universe Meditation was designed to help you clear energy blockages along the two most important energy channels in your body which form the "Small Universe" in your torso (also called the "microcosmic orbit"). 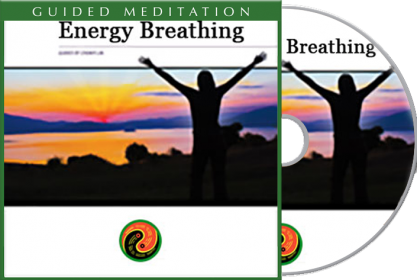 By using mental focus, controlled breathing, and sounds, this guided meditation helps you open all the major energy centers located along these two key channels and restore energy balance. This ancient Qigong meditation has been practiced and kept secret for thousands of years. In traditional Qigong practice, a select few were chosen to learn and practice this meditation. Master Chunyi Lin has broken from tradition and is sharing this very powerful health and personal energy cultivation practice to the world. In this 30 minutes guided Small Universe meditation, Master Chunyi Lin will use his voice and chanting sound vibration to help you move your internal energy ball into orbit around the "Small Universe" of your body. How many times do we tell ourselves the same old stories of unworthiness, hopelessness or fear? Do we have to drag these emotions throughout our lives? It doesn’t have to be like that. You can have it all. 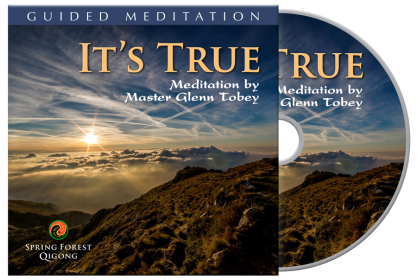 The genius behind Master Tobey’s guided meditation are a series of undeniable truths that will show you how to open your heart and awaken to the beauty and unconditional love that resides within you. In fact, his mediation is simply called “It’s True”. 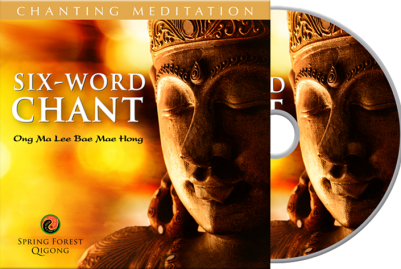 The Six Word Chant for Healing, Wisdom, Purity, and Enlightenment. This chant is an ancient Buddhist healing chant. The six words are "Ong, Ma, Lee, Bae, Mae, Hong." "Ong" relates to the heart of wisdom. This is the wisdom of the universe. The "Ong" sound can help with problems in the eyes, the ears, the nose, and with all kinds of headaches and head problems. "Ma Lee" relates to a person's heart, which is full of changes. "Ma, Lee" can help with problems in the throat, shoulders, elbows, heart, and lungs. "Bae Mae" relates to the purity of the heart, the emptiness. "Bae, Mae" can help with problems in the spine, back, kidneys, stomach, and intestines. "Hong" relates to the enlightenment of a person with the wisdom of the universe or with the power of God. "Hong" can help heal problems in the joints of the body and the legs. The six words together in combination can help to balance the energy throughout the body and help connect you to the healing energy of the Universe. Play this chanting in your home to condition the energy of your home. This guided meditation is for sharing our love and healing energy with the world at this critical time. The great man of peace, Mahatma Gandhi said, "Love is the simplest force in the universe. It is also the most powerful." This is so true. The greatest healing and creative power in the universe is pure, unconditional love. The more healing love energy we send out to help others, the more healing love energy the universe returns to us. It is such a beautiful and powerful cycle. The vision of this meditation is for all of us to join together in focusing on the beauty of this perfect, healing love and the joy of sharing it with every child, every woman, every man, in every corner of our world. Just think of how powerful and beneficial this will be for every person on this planet we all share. Please join me in this Healing Our World meditation as often as you can, and please share it with everyone you know. Through the power of love we can heal ourselves and our world. Qigong is an ancient Chinese scientific study of the power of Qi in the body and the universe; and how to use this power to benefit all aspects of lives. "Qi" is a form of intelligence and a form of life force. For example, Chinese people call the energy in a person’s body “Qi.” “Gong” means “the work of” or “the practice of.” Thus, Qigong is the practice of energy. For thousands of years, the practice of Qigong was a closely-guarded secret revealed only to a chosen few. Even today, traditional qigong techniques can require years of rigid, disciplined practice to develop proficiency. Many qigong masters also do not explain why or how qigong works. Created by Master Chunyi Lin, an internationally certified Qigong Master and founded in 1992. Master Chunyi Lin has demystified and simplified Qigong so it can be practiced and understood by anyone. Spring Forest Qigong is explained from the energetic, emotional, and spiritual perspectives. Spring Forest Qigong is a simple and highly effective system that has been optimized for humans today, not humans living thousands of years ago. Created for modern people to practice, SFQ has many characteristics which make it incredibly effective. In the last 24 years, Spring Forest Qigong have helped hundreds of thousands of people to experience healing physically, emotionally, and spiritually. With SFQ, you can spend less time and achieve more.